The rainstorm swept through several places in the southern district of Bara and adjoining Parsa in the evening killing 25, Himalayan Times reported. 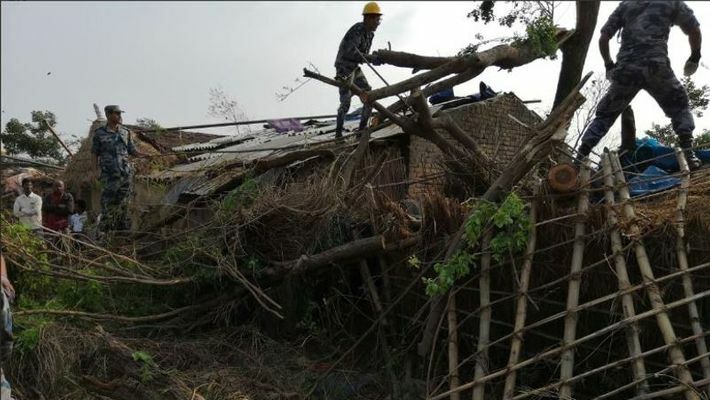 New Delhi: At least 25 people were killed and over 400 others injured as a massive rainstorm hit several places in Nepal on Sunday, officials said. The rainstorm swept through several places in the southern district of Bara and adjoining Parsa in the evening, Himalayan Times reported. According to the District Police Office, Parsa, the number of casualties may rise. Army spokesperson, Yam Prasad Dhakal said, "We have kept 2 MI 17 helicopters in standby mode for deployment in case of emergency. A sky truck is ready in Simara. Over 100 army personnel have been deployed in the affected areas, rescue operations underway." The officials said the army and police personnel have been mobilised to carry out rescue and relief operations.